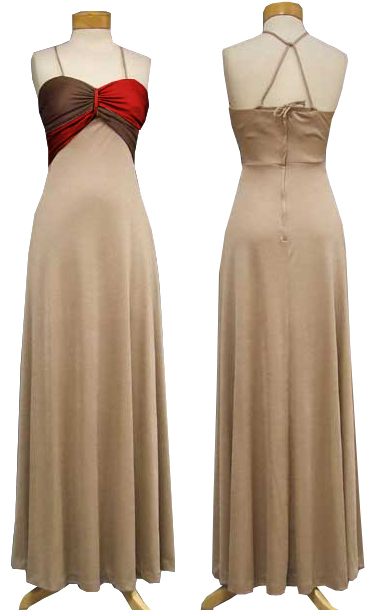 Dress up glamorously in this dress that has spaghetti straps and a bust with dual shades. It is an empire waist and looks exceptional. The next party you are invited to, will be in your name because the crowd will be mesmerized by your look.